Mission Lifeline's tweet instantly drew fire from political figures throughout Germany. 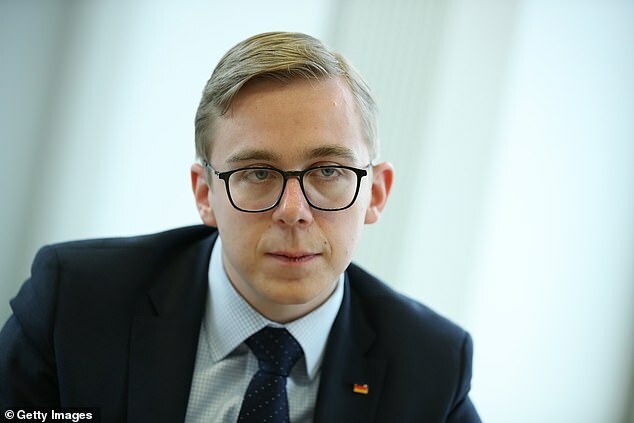 Christian Democrat politician Philipp Amthor, 26, told newspaper Bild.de that the agency was clearly trying to 'thwart immigration law'. 'This absurd call for entering marriages shows clearly that these "sea rescue" in fact pursue a much larger agenda,' Amthor said. 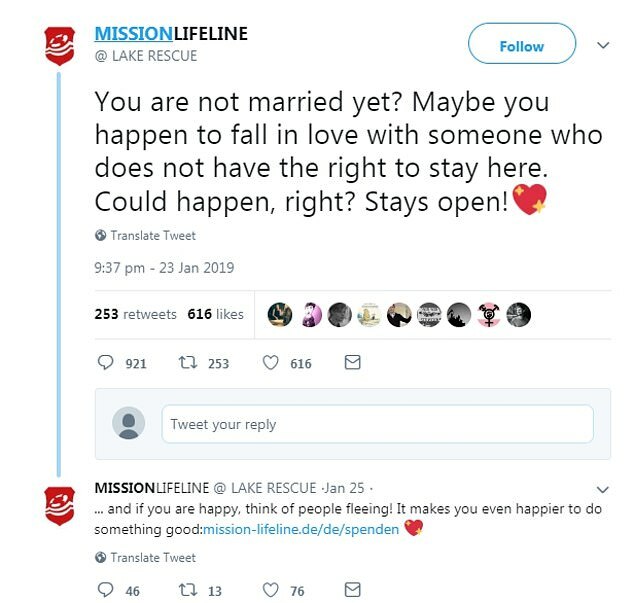 But the NGO's co-founder rejected the idea that the tweet was about marriage, saying instead it encouraged people to 'show love towards migrants'. 'It was merely a call for donations for sea rescues.' he said. 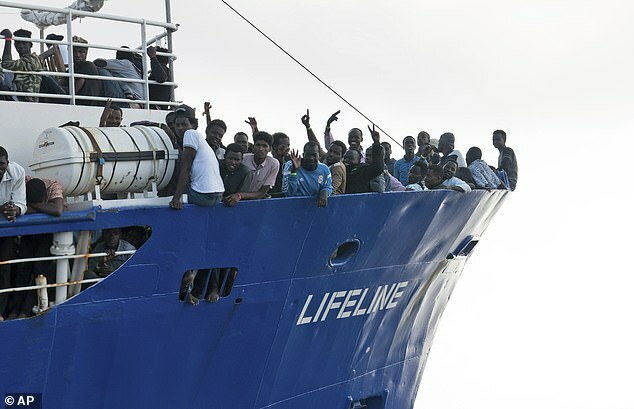 The charity, founded in 2016, has previously seen its ship 'Lifeline' rejected when it tried to enter an Italian port in 2018 carrying over 200 migrants.